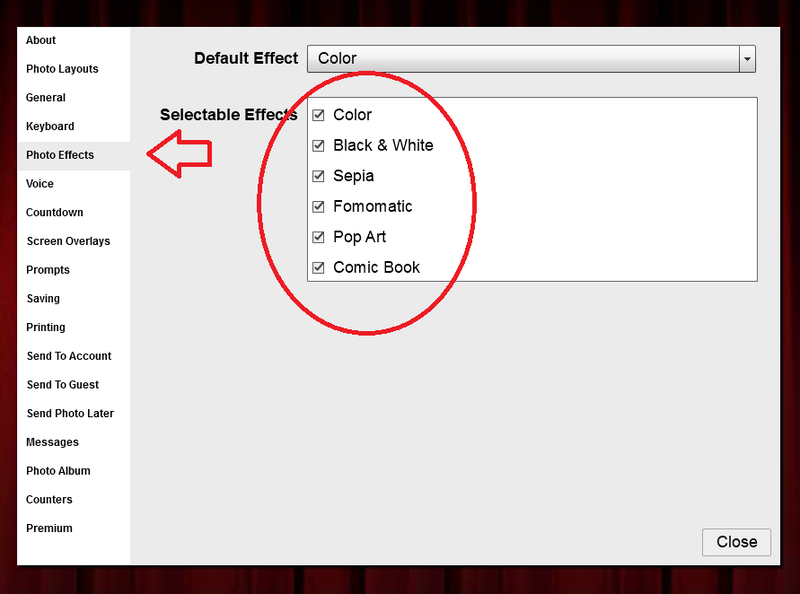 I don't know how to enable the change photo effect button. 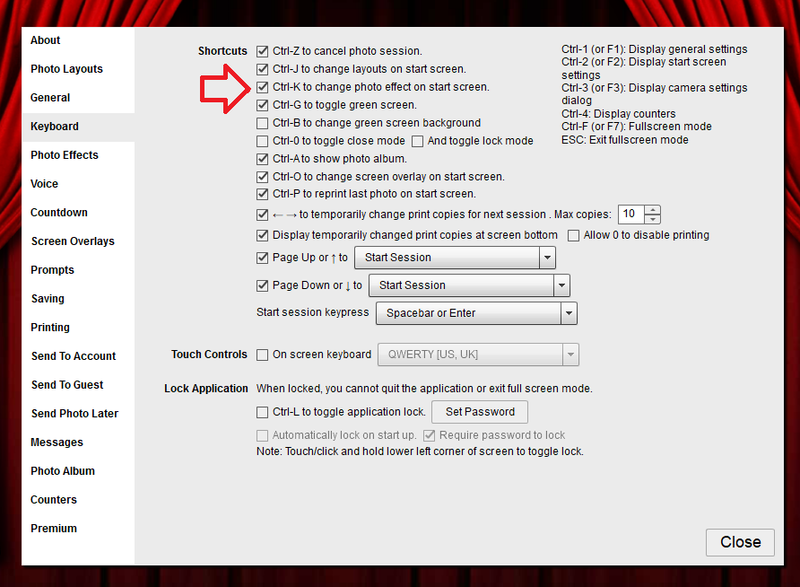 Open your F1 Settings press photo effect make sure photo effect that you want to use has a check then open keyboard make sure that the ctrl k has a check mark. Hi yes all checked but no button uppers. What version number are you running? will come up during the session. Hi yes I have use screens enabled but no effect change? Do you have Skype? We can connect and talk (English only) and I can share my screen and show you how it all works. Send me a Contact Request in Skype and we can connect. With the setting and see how I go.